Victorian women poets lived in a time when religion was a vital aspect of their identities. 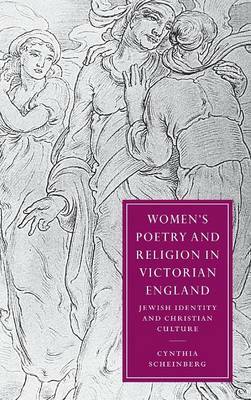 Cynthia Scheinberg examines Anglo-Jewish (Grace Aguilar and Amy Levy) and Christian (Elizabeth Barrett Browning and Christina Rossetti) women poets, and argues that there are important connections between the discourses of nineteenth-century poetry, gender and religious identity. Further, Scheinberg argues that Jewish and Christian women poets had a special interest in Jewish discourse; calling on images from Judaism and the Hebrew Scriptures, their poetry created complex arguments about the relationships between Jewish and female artistic identity. She suggests that Jewish and Christian women used poetry as a site for creative and original theological interpretation, and that they entered into dialogue through their poetry about their own and each other's religious and artistic identities. This book's interdisciplinary methodology calls on poetics, religious studies, feminist literary criticism, and little read Anglo-Jewish primary sources.